The 24th Week of Pregnancy Marks the Point at Which Your Baby Will Survive if Delivered. 118 DAYS TO GO. . . 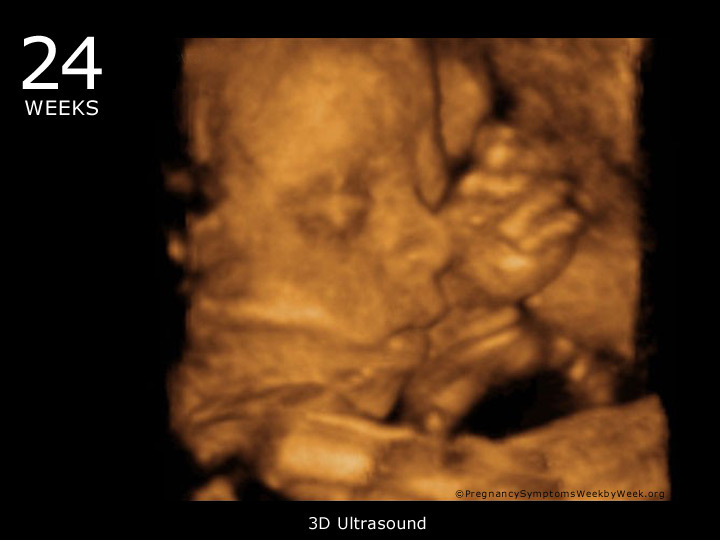 Your baby’s body systems are becoming more and more efficient. A baby getting prepared for independent life needs all the help you can give it. Keep up your good habits by nourishing the two of you with healthy food; and make sure your own body is in peak physical condition to support your pregnancy. 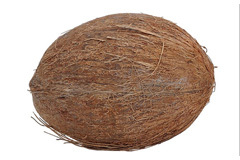 Your baby is about the size of a coconut during week 24. Your Uterus is expanding day by day and is now an inch or two above your belly button. Taste Buds are starting to develop at this point. The Lungs are advancing as the respiratory passageways are forming. The Heart is now beating consistently and should be easy to detect during a scan. 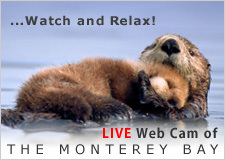 Some minor discomforts, such as feeling too hot, leg cramps, rib pain and hemorrhoids may be plaguing you. These annoying problems are only temporary and will disappear once your baby is born. At 24 weeks rib pain is usually caused by your growing uterus pushing your organs up into your rib cage. Later in the third trimester the rib pain can be caused by your baby pushing up on your ribs. Your baby’s skin is becoming more resilient. Your baby’s skin is continuing to develop and has now started to keratinize. Keratin is the substance that transforms the skin’s outer layer into a protective layer of dead cells. From this point onward, your baby is considered “viable” and would receive life-saving treatment were it born early. 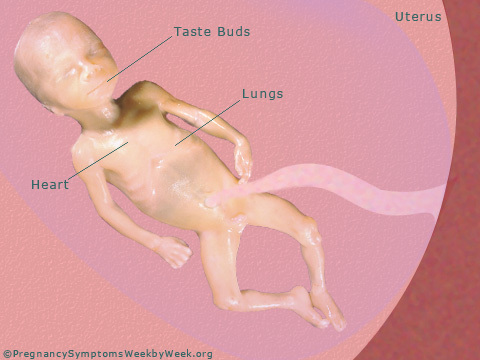 Although the lungs are the last of our baby’s organs to be fully functional, they are undergoing rapid development now. Your baby’s lungs are starting to mature, as the barrier between the bloodstream and what will become air-containing sacs gradually starts to thin. The thinner this barrier, the more easily oxygen and carbon dioxide will transfer into and out of the baby’s bloodstream. The lungs remain full of fluid during your pregnancy and when your baby practices breathing, the fluid moves of of its lungs into the amniotic fluid.